If you want to do what you love for a living, maybe you should consider taking the Divemaster program. After finishing the program you will become a professional and align yourself with the largest and most respected dive tribe (PADI). As a PADI Divemaster you will be able to supervise training and non-diving activities, assist a PADI instructor, and independently conduct the Snorkeling program, the Skin Diver course, the PADI Discover Scuba Diving program, the PADI Discover Local Diving experience, the Scuba Review program and some specialties. Minimum time required: 15 days. 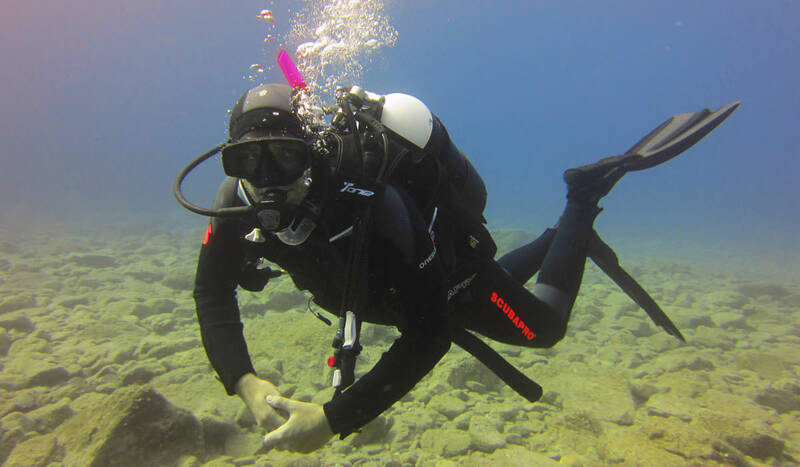 Prerequisites: To take this course you should be over 18 years old, you should be an Advanced Open Water Diver and Rescue Diver (or have a qualifying certification from another training organization) and you must have been trained for Primary and Secondary Care within the past 24 months.